THE African Peer Review Mechanism (APRM) is an instrument set up by the African Union (AU) in 2003 celebrated on March 9 each year since 2013. 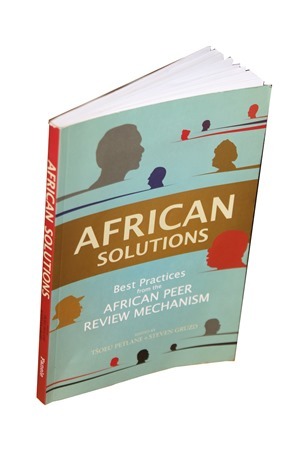 Best practices from the African Peer Review is their 2011 publication which looks at country review reports from different states to encourage good governance through mutual assessments. The APRM has 35 countries signed up voluntarily. The mandate of the APRM is to encourage conformity in regard to political, economic and corporate governance values, codes and standards, among African countries and the objectives in socio-economic development within the New Partnership for Africa’s Development (NEPAD). In 2001, NEPAD was founded as a roadmap for African states. It was spearheaded by former South African President, Thabo Mbeki and former Nigerian President, Olusegun Obasanjo. The 2011 publication focuses on 12 countries which highlight significant strides made by the respective countries in terms of NEPAD dictates. Although NEPAD is regarded as an African solution to African problems, it has faced resistance among critics who argue that it is simply ‘old wine in new bottles’. It has been condemned by pan-African thinkers for its Westernised veneer which contradicts its ‘African solution to African problems’ philosophy as it fails to understand the realities of the political systems it encounters. This statement by the APRM is a fallacy to say the least. The kingdom of Lesotho has not had political stability since 1966 when it attained its independence from Britain. There have been coups in 1970, 1974, 1986, 1991, 1994 1998, 2014 and as we speak soon after the February 28 elections, they are still in a deadlock as there is no winner with majority votes to form a government. Lesotho soon after independence had a constitutional crisis when King Moshoeshoe II attempted to obtain wider personal powers in accordance with traditional rights. When his attempt failed, the King was forced by then Prime Minister Leabua Jonathan to sign an undertaking that he would abide by the constitution, which gave executive powers to the Prime Minister. This resulted in continued strained relations between the Prime Minister and the King. Currently, Lesotho is failing to reconcile the traditional ways of governance and the modern. This is their law and yet they lie to the world that their Queen is ceremonial. Infact the pressure is mounting on Swaziland to turn it into a constitutional monarchy despite the chaos in neighbouring Lesotho. In fact the chaos is looked at as democracy at work. The APRM declares that as states adopt what they term as ‘best practices’ they will in-turn influence others through ‘peer pressure’ which will see them also make the necessary reforms. It is a noble idea, but in most cases there are no exact situations in different countries. For example, Zimbabwe undertook the land redistribution exercise at its own economic peril after many constitutional setbacks crafted by the British to protect their kith and kin. While other countries like Namibia and South Africa are badly in need to reforms, there are several issues they need to consider such as the position of the Afrikaners who have declared that they are willing and ready to defend ‘their’ land through any means necessary. Namibia, Lesotho and Swaziland’s economies depend on South Africa and therefore a civil war would disrupt their states. The NEPAD proposal highlights how post colonial Africa has been weakened by, ‘poor leadership, corruption and bad governance’ and yet does not go beyond explaining how we find ourselves in such a situation. Because getting to the root of ‘when the rains began to beat us’ will perhaps help in solving the situation. For example, in Rwanda, there had been warning by human rights watchers of tensions escalating between the Hutu and the Tutsis. This was a problem left behind by the former coloniser, the Belgians. They allowed the Tutsi, a minority, to rule over the Hutus, the majority. The 1994 genocide was inevitable. The very ideas of democracy and free markets as espoused by the NEPAD smacks of structural adjustment programmes by the International Monetary Fund (IMF) shoved down the economic throats of every developing nation. The ARPM notes how some countries look at South Africa as ‘imperialistic’ which seems to be true. NEPAD means Africans opening up markets to compete at a continental level. Zimbabwe and many other countries would be flooded by Western goods through IMF programmes. It should be remembered that the reason the British pushed for the end of colonisation had nothing to do with sudden philanthropy, but rather the pressure of African resistance and how to manage the result of independence. Hence under NEPAD, African countries would open their markets for competition and South Africa would dominate the continent alongside Nigeria. We all know who pays the piper in these countries; their cosiness with the West has always been a cause for concern with many, especially when South Africa voted for Libya’s invasion by NATO. There is something flawed about democracy as defined by the West, especially when 4 000 whites in Zimbabwe could own vast tracts of prime land while the black majority would live off the margins. Next articlePresident Obama’s legacy: Defending Israel or black people?